(Sir) Bob Paisley oversaw 535 games as Liverpool manager, winning 308 of them (in all competitions). The Reds’ boss from 1974 to 1983 oversaw unprecedented success, lifting the European Cup three times in five seasons, and the league title in six of his nine seasons in the dugout. Such consistent success saw Liverpool reach the pinnacle of European football, and Paisley was named Manager of the Year six times. 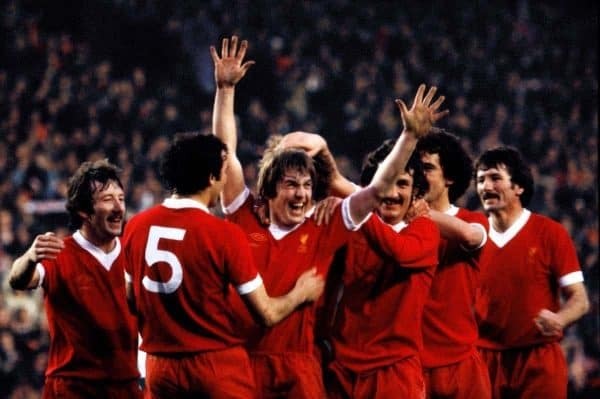 Of course, plenty of players contributed to Paisley and Liverpool’s success during that halcyon era, writing themselves into Anfield’s history books and into the hearts of Kopites forever. To mark 100 years since Paisley’s birth in Hetton-le-Hole, we look at the top 10 goalscorers during his time in charge. We’ve given you a hint with the number of goals scored by the respective players below. You have six minutes – try and name as many as you can.